After being absent from my beloved burger restaurant Gourmet Burger Kitchen, it was well overdue that I payed a visit. A total revamp of the burger menu took me by surprise but left me intrigued on what was to come. Honestly, it looked pretty lacklustre not holstering any gems and more importantly didn’t leave me wanting to order the whole menu. 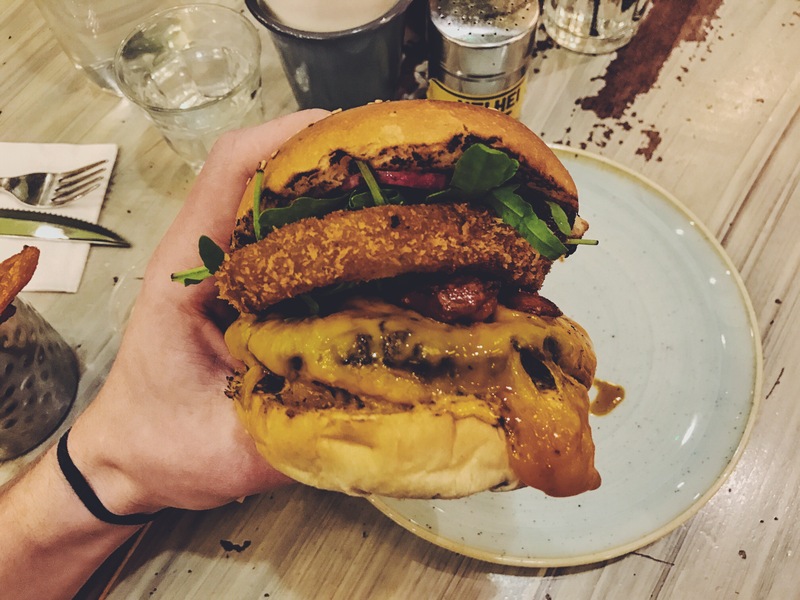 With great anticipation I had decided to start with ‘THE STACK’ ingredients; (Grilled chorizo, Red Leicester cheese, house onion ring, smoked chilli mayo, rocket, pickled onions, house relish). I think you’ll all agree that it sounds pretty typical of GBK? As expected I didn’t find this burger hard to polish off, but that didn’t mean there weren’t any cons. The whole ingredient match up as a collective just didn’t blend together well, the onion ring was in a some of breadcrumb batter which is just incorrect, come on GBK. The chilli mayo, and house relish cancelled themselves out once together on this burger but the chorizo on the other hand. The chorizo was not in short supply and together with the burger and the cheese, was quite lovely. Overall it wasn’t GBK, it was more of Chiquito trying their hardest. And that’s still an achievement at any rate. Burger rating; a 6 out of 10.